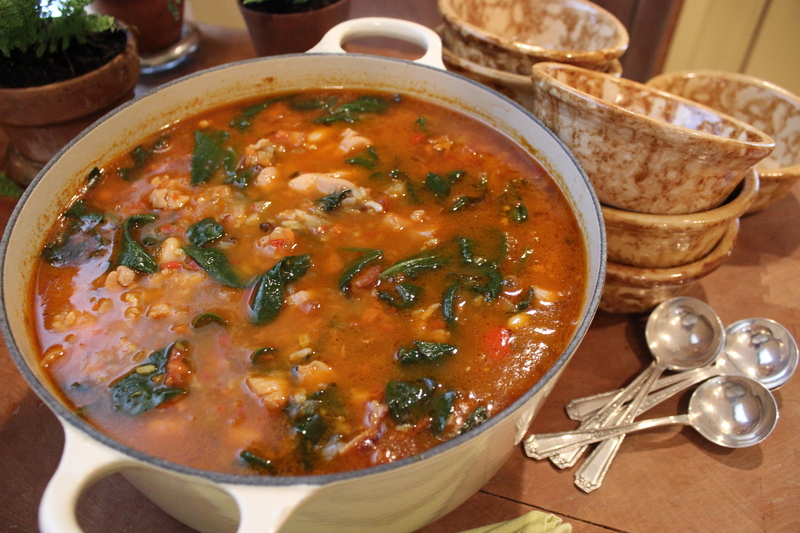 What better dinner to come home to – a pot of soup full of vegetables but made hearty with the addition of chicken, white beans, bacon and wild rice. This is a great make ahead recipe which gets better with time. Heat a large stock pot then add the canola oil and the bacon and sauté until the bacon is golden brown. Remove from the pan. This entry was posted in Recipes and tagged Cannellini beans, chicken, Chicken Thighs, fennel bulb, Saffron, soup, Vegetable Soup, wild rice, winter vegetables. Bookmark the permalink.